Last edited by dansi; 04-07-2019 at 10:09 AM. AOC is under Philips display under TPV china group which produces own panels. Strangely AOC has 100% DCI-P3 1ms response time, but only 2000:1 native VA contrast and DP1.2? I guess they license the backlight from AUO and use their own panels. Hope this one is different. AOC is affordable in Europe! This is what I've been waiting for! Finally... an exciting monitor. Is Display Port 1.2 bandwidth enough for 3440x1440/200Hz? I will have to wait and see how it does. The HDR I've seen hasn't been worth the price difference on monitors. It's really impressive on those OLED TV's and pretty darn good on the higher end tv's with the good backlighting. I think I am going to sit on the HDR monitor purchase until OLED becomes feasible. Now can you make a 2560x1440p FreeSync 2 HDR 1000 144hz monitor? 200hz VA with 1ms response? Aren't VA monitors plagued with the black smear? How are they getting G-Sync? 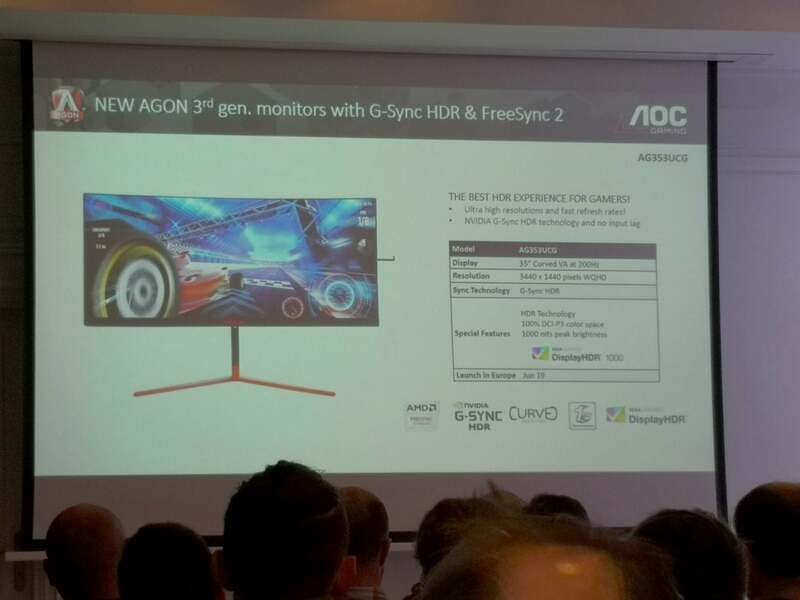 Is it just a FreeSync 2 that can use G-Sync? no, the panel uses adaptive sync that passes both certifications. don't know why folks don't understand that by now. Hardware G-sync is dead anyway.